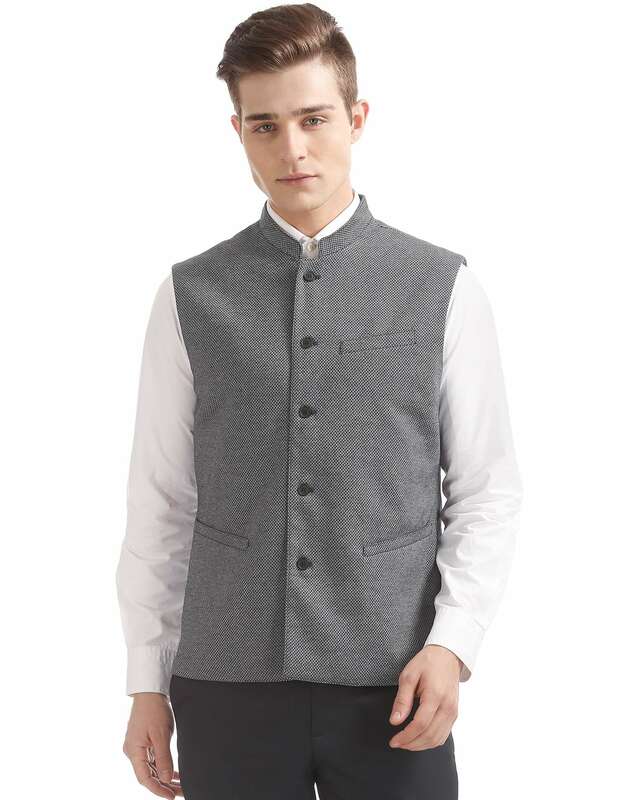 Arrow's jacquard Nehru jacket exudes individual flair. In a versatile navy hue;it's cut slim;has a mandarin collar;multiple pockets and a vented back hem. Wear yours with polished oxfords and a contrast pocket square for an unerringly modern look.